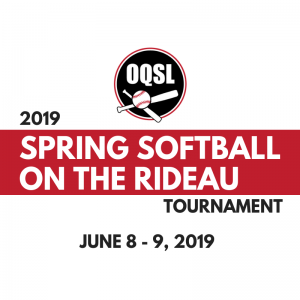 The 2019 Spring Softball on the Rideau Tournament will be the third instalment of the OQSL Tournament that welcomes teams from out of town to play some competitive softball in Ottawa. Over the past 2 years we have proudly hosted some amazing competitors from Toronto, Halifax, Montreal, and Ottawa. We hope you’ll join us this year for this exciting tournament. Will your team have what it takes to join the Blake House Ball Busters (2018 Champions), and the Brokebat Mountain (2017 Champions)? Registration is super simple! Click on the link to the right and submit the form. Please note the deadline is May 5, 2019. Your team registration and payment of fees must be received by May 5, 2019 to ensure your team is finally registered. Payment of fees is easy! Simply email transfer your payment to treasurer@oqsl.ca. We recommend the following hotels in the Centretown area of Ottawa. These locations are central to the city, the fields, and easy access to the main highway 417. Additionally, Ottawa does have AirBNB hosts which may be a suitable option for your teams. Other hotels exist in the downtown core, which may be a better fit for your team members. This year the OQSL Spring Softball on the Rideau Tournament will be played on the following City of Ottawa fields. Teams must have a minimum of 10 players and a maximum of 14 players. “One Up Rule” is in effect for homeruns. Any ball hit over the fence is a homerun. Teams may only hit a maximum of +1 homeruns relative to their opponent’s home run totals. Any batter that hits a homerun for a team that is already +1 in homeruns will immediately be declared out. Runners cannot advance. If a team is -1 in home runs relative to their opponent, that team may hit two consecutive home runs, moving them from -1, to even, to +1. If you have any questions regarding the tournament, please email tournament@oqsl.ca.